Just several minutes into their Game 2 matchup against the Los Angeles Clippers, DeMarcus Cousins suffered an apparent quad injury when he dove for a loose ball. On Tuesday, Shams Charania of The Athletic reported that Cousins has been diagnosed with a torn left quad. Shortly after Charania’s initial report, the Warriors officially announced that Cousins had suffered a torn quad and offered an update on what will come next for the big man as he begins to work his way back from, yet, another injury. 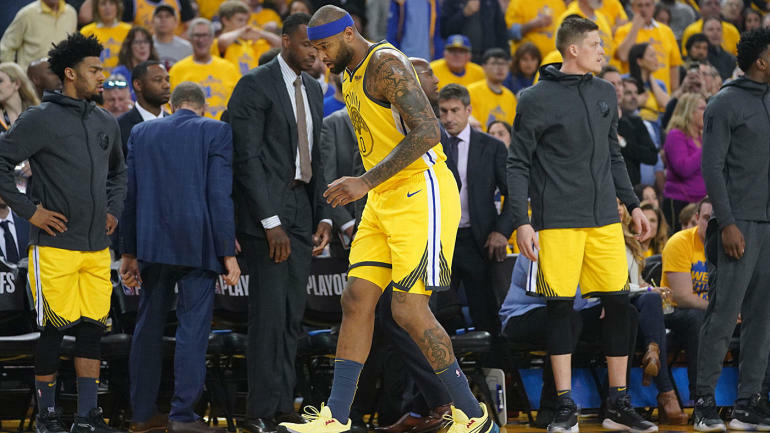 While Cousins has not yet been ruled out for the remainder of the postseason, the update from the Warriors on Tuesday makes it clear that he will have a long road back after suffering this injury.